Treasurer Wayne Swan is busily preparing hearts and minds for his fourth consecutive Budget … deficit. A deficit that’s going to be epic. Let’s take a bite out of his red herring. Is the jobs claim true? If it’s true that Labor has created 750,000 jobs since coming to power, one would think this “fact” might be reflected in some official statistics. Say, in the official government Final Budget Outcome reports. Now, if Labor really has created 750,000 jobs since they came to office, then you’d expect the Total individuals and other withholding taxation for last year (2009-10) to be a lot higher than in 2007-08, right? After all, even if these “750,000 jobs” were all only modestly paid jobs – say, $35K p.a. 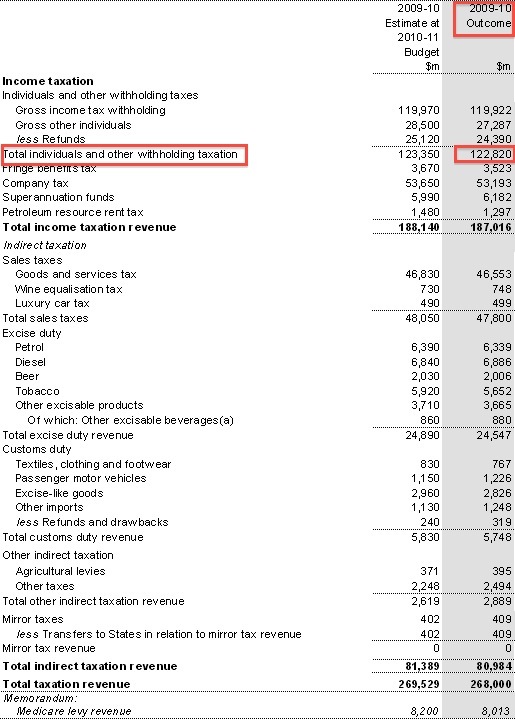 – then you would expect the government should have received around 750,000 x $4,350 = $3.26 Billion more individual income tax revenue than in 2007-08 … right? In Wayne’s World, 750,000 jobs created means $3.31 Billion less income tax revenue. 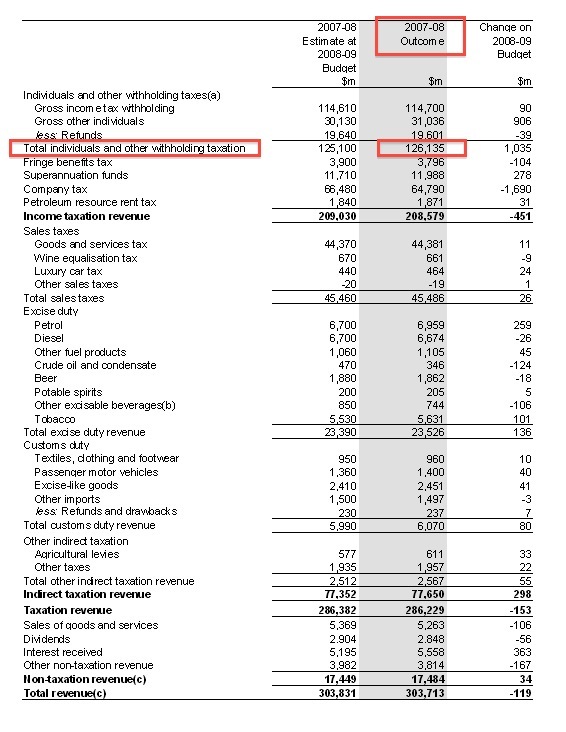 Rather than adding to Government revenue, “job creation” actually loses money. On the eve of Budget 2011 … and a fourth consecutive mega-deficit … this is Wayne’s headline argument for Labor’s record in economic management. “Half a million more”. “In the next two years”. If you are going to lie, make it a Big Lie. And repeat it often.